You’ve been asking for a contemporary stylish wood stove that can also plumb into hydro radiant heat distribution. Obadiah’s has finally found the perfect solution to your heating needs! 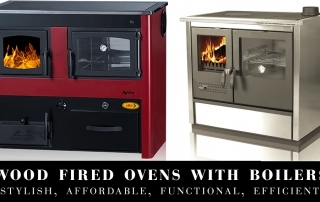 We are now offering some of the few wood-fired oven hydronic boilers on the North American market. So you've got a boiler, but how do you connect it to your water system? 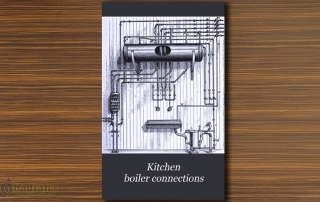 "Kitchen Boiler Connections," published by David Williams, features a collection of writings designed to help you understand the basic mechanics and plumbing that goes into a typical wood boiler installation. 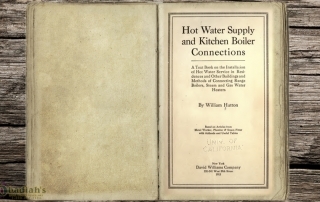 "Hot Water Supply and Kitchen Boiler Connections: A Selection of Practical Letters & Articles Relating to Water Backs & Range Boilers, Compiled from the Metal Worker" by William Hutton, despite its age, outlines the basic principles involved in domestic hot water heating and range boilers. 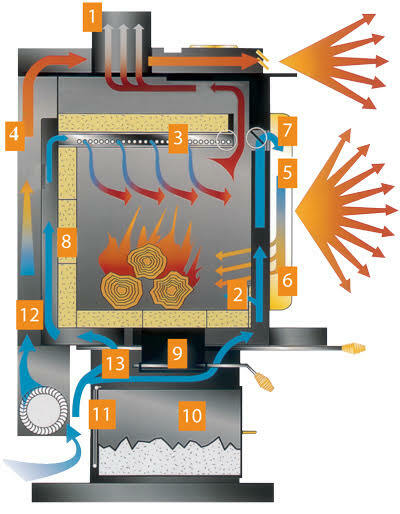 While a batch boiler is constantly expending energy on heating, even if you're not using it, the CleanFire boiler wastes nothing. By modulating heat according to demand, WoodMaster's boiler can shut down when the load is not there and ramp up BTUs when they are needed, eliminating the requirement for thermal batteries altogether. 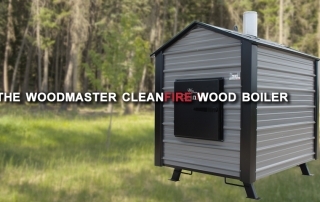 This is the only wood-burning boiler in its class that has been able to make modulation work effectively, and it's one of the many reasons we're very excited about the CleanFire. 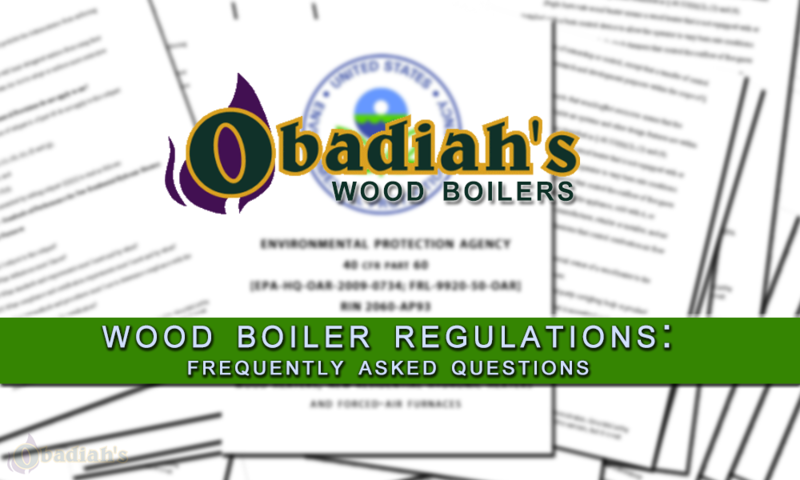 With all the new regulations the EPA has recently set for wood boilers, many people are still asking questions: What kind of boiler are you allowed to own as a resident? What about as a business? If you live outside of the United States, what boilers are you allowed to purchase? We heard your questions, and dug through miles of government documents to bring you the answers without all the legalese. Using wood heat is not without complications: Smoke, even from burning wood, is an emission regulated by the Environmental Protection Agency (EPA). 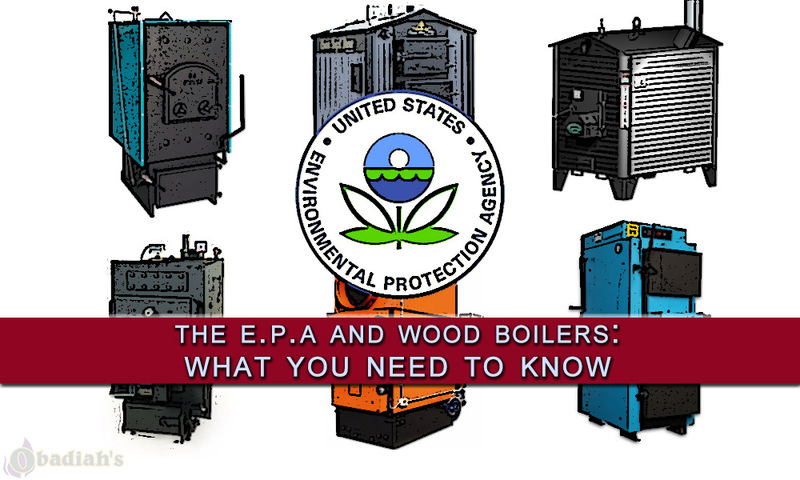 In the following article, we will explain what the EPA’s regulations mean to those of us who use or manufacture wood burning appliances such wood boilers, also known as "hydronic heaters" and "wood furnaces." 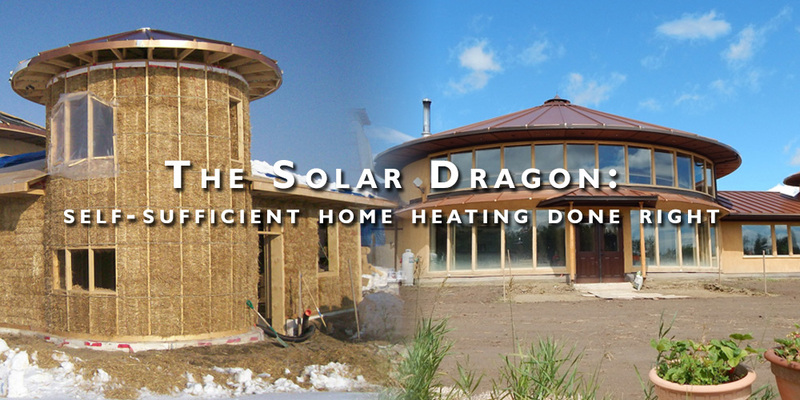 The Solar Dragon is an off-grid home, there are no gas or power lines running to the property, making it the perfect design for those of us who appreciate living self-sufficiently. Lead designer Paul Belanger and electrical engineer Kurt Klingbiel used several eastern influences as an inspiration (hence the name "Solar Dragon") to create the structure: A 4,000 square foot community building insulated with straw bales located in Northern Alberta. Referred to as the "Peace Regional Eco-Centre", it is the largest straw bale structure in Western Canada, and one of the most unique buildings we've had the pleasure of seeing for ourselves. Man has been burning wood as a renewable, carbon-neutral fuel for thousands of years, but it's only recently that we have given much thought to what is coming out of the chimney. As Americans, we seem to be more behind the curve in this realm more than most countries. There are some wonderful new North American products out there, but in reality, the Europeans have been at this game a long time. They have it down pretty good if you are comparing a high tech gasification boiler to a firebox submerged in water. In the past ten years, "Gasification Boilers" has become a popular buzzword for dealers like myself. 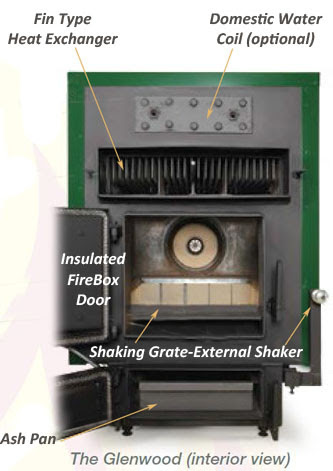 It sounds like magic, and many companies are using the label "Gasification Boilers" to market a product to North America that, in my opinion, does not fit the actual needs or mindset of the market here: European-style batch burner boilers. It's been my experience that the boiler market in North America is very low-tech and focuses mostly on outdoor boilers, a technology that is very dirty burning and inefficient. That inefficiency, combined with their growing popularity, has put the outdoor boiler in the EPA's cross-hairs for elimination (at the moment, they are still allowed for agricultural markets where there is no local regulation for particulate output; for more information, please read Obadiah's article here on how the EPA's regulations affect users in the United States). 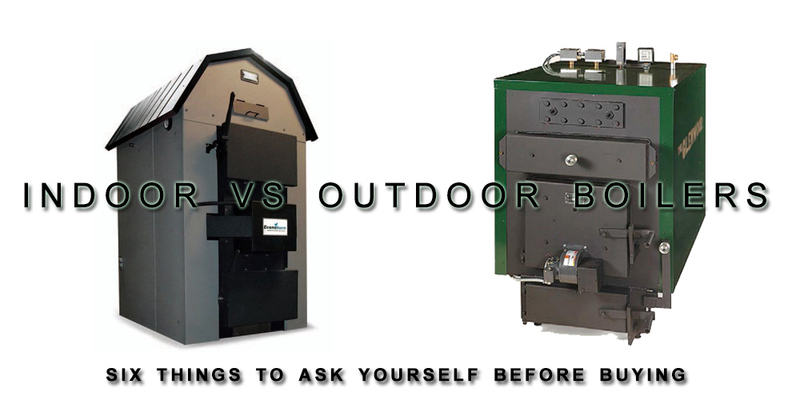 Why are outdoor boilers popular, then?